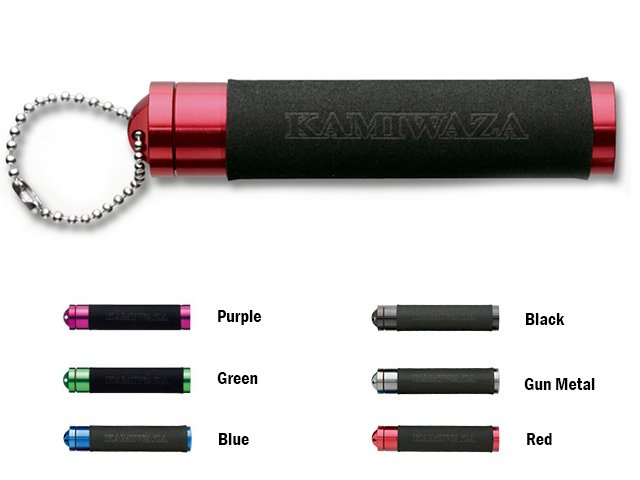 Click the button below to add the Valley Hill Kamiwaza Dual PE Stick Mini to your wish list. The Kamiwaza Valley Hill Dual PE Stick is a tool developed for the purpose of tightening friction knots such as the PR or FG knot, on the new high strength, low diameter, braided lines available on today’s markets. A cylinder of aluminum, it is hollow on the inside to allow another, smaller diameter, cylinder of aluminum to be screwed into it. This allows the two sticks to be stored together, reducing the chance of loss or misplacement. Both cylinders are covered with a rubber like film that is very “grip-y” reducing the chance of line slipping, as well as reducing the chance of fraying the line when tying the knot. The rubber also has a very long useful life. This model is approximately 4in long and 3/4in in diameter.